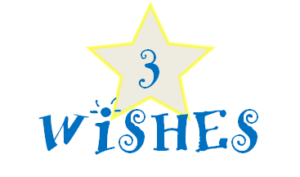 It is common for child therapists to ask children for “three wishes”. Children are asked variations of the question “If you had three wishes that would make your family better, what would they be?” And more often than not, the various responses from children of divorce are incredibly similar. Most children, no matter their age, hope so badly for their parents to reunite. The desire is strongest when parents first decide to separate. This wish may not end when one of the parents remarry, and although it isn’t rational, children will still hold on to hope of the possibility of their parents getting back together. Some children tend to use various tactics as an attempt to get their parents back together. At home, kids may act like the perfect child, and at school they may portray the “model student” in hopes of making their parents happy. In their minds, happy parents mean a greater chance of them rekindling their love. On the contrary though, kids may take the route of acting out. Acting out can be anything, for example they may purposely get into trouble at school so their mother and father will have to get together and talk about the child’s behavior. However, it’s important to know that it is not up to the children to get their parents to remarry. It’s often painful for parents when they hear their child say, “I want mommy and daddy to get back together again”, and they know it’s not going to happen. However that being said, there are things parents can do to help their child accept the situation. Make it clear to your children that you will not reunite. Help your children learn to accept what has happened as well as communicate that it is something they cannot change. Do not give false hope that you will reunite. Continually explain what is happening. Remind you children that you will always be their mom and dad even if you do not live together. Tell them that will never change. It is forever. Reassure your child it’s not their fault and it is nothing that can change. Emphasize that your child didn’t do anything to cause the divorce. Explain that it was Mom and Dad who did not get along. Communicate to your child that Mom and Dad will always be near to love and protect them. Children enjoy seeing their parents get along and having both their parents at events. Parents acting cordial towards each other is really a simple task. It doesn’t require a resolution of all of the marital issues or emotions associated with the separation, and it in no ways demands that parents become friends or trust each other. It simply requires respect and the awareness that it is about the child, and not anger towards each other. Show your child that you respect their love for the other parent. When in your children’s presence, interact in a positive and cordial fashion. Treat each other as a social acquaintance. Separate your role from former spouse to partners in parenting. When children feel valued and respected as part of their family and members of their community, they develop a positive sense of who they are. Relationships with family members, adults, and community members play a significant part in building children’s identities. Children become emotionally resilient, self-confident and able to effectively cope with difficulties when they feel a sense of belonging and a sense of pride in their families. Stay connected with your child. Spend one-on-one time with each of your children to make them feel special and valued. Plan activities that encourage interaction between family members. Volunteer at school and engage in their extra-curricular activities. Develop your child’s sense of belonging. Create space for your child in their home. At the very least, keep personal items, toiletries and toys in both homes. Avoid the need for your child to pack a bag when they move between their two homes. Encourage your child to develop friendships in your neighborhood. Nurture connections between your family and families of your children’s friends. By following these suggestions, you as a parent are taking positive steps to influence the difficult process of divorce for your children. See the divorce from your child’s perspective, and by doing so you will gain a new perspective of how your child is absorbing this big family change. Dedicate yourself to molding happier and healthier child.